Dogs are never alone! 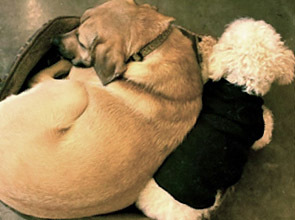 There is an overnight dog lover on staff to comfort them and keep them safe. 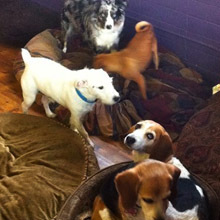 Some dogs have never boarded, some have never been in a kennel, some have special needs. From a cozy futon, in front of the TV, to a big cozy dog bed with some friends in one of our playrooms, to kennel runs that are large enough for 2 or 3 medium to large dogs to curl up together in. 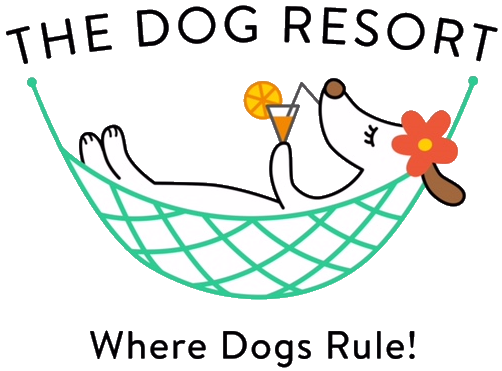 The Dog Resort will tailor your dog’s experience to make your dog’s stay at The Dog Resort a happy one. 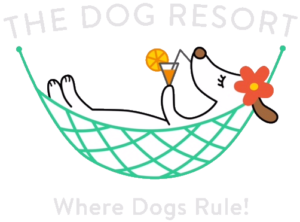 The Dog Resort offers free-range daycare, cage-free boarding options, one of the largest private outdoor playgrounds in the city, small dog, and puppy playrooms and specialized care for first-time boarders, rescue dogs, and dogs with special needs.